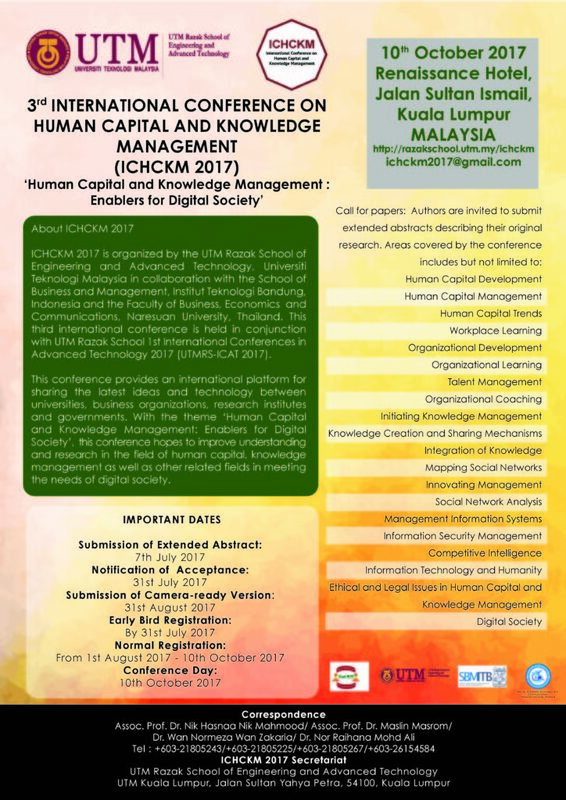 ICHCKM 2017 is organized by the UTM Razak School of Engineering and Advanced Technology, Universiti Teknologi Malaysia in collaboration with the School of Business and Management, Institut Teknologi Bandung, Indonesia and the Faculty of Business, Economics and Communications, Naresuan University, Thailand. 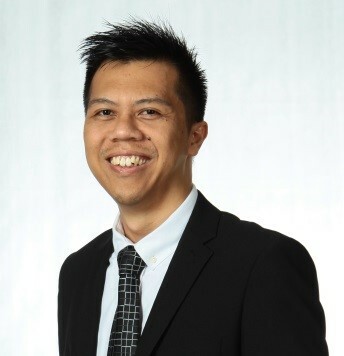 This third International conference is held in conjunction with UTM Razak School 1st International Conferences in Advanced Technology 2017 (UTMRS-ICAT 2017). In line with UTM vision of “Being Center for Academic Excellence and World Class Technology Through Creativity”, this conference provides an international platform for sharing the latest ideas and technology between universities, business organizations, research institutes, and governments. With the theme ‘Human Capital and Knowledge Management: Enablers for Digital Society’, this conference hopes to improve understanding and research in the field of human capital, knowledge management as well as other related fields in meeting the needs of digital society. This conference gathers experts, researchers, academicians, and young student researchers and hence provides opportunities for networking, professional relationships, and also experience sharing.